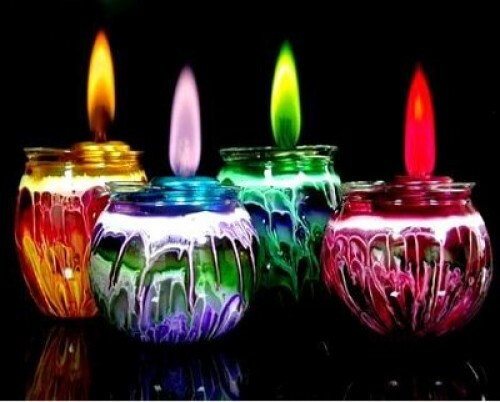 Four of the top five days for home fires caused by candles occur during the winter holiday season. These five days include: Christmas Day, Christmas Eve, New Year's Day, Halloween and December 23. Safety experts say that the dramatic increase on these five days is due to the use of candles in holiday decorations and the result of simple human error. Avoid using lighted candles. A safe option can be battery powered candles. Put candles in a sturdy metal, glass or ceramic holder. Create a safety zone around the candle free of items that can start on fire. A three-foot safety zone is recommended as the safest practice. Keep candles out of the reach of children and pets. Children should not be allowed to use matches, lighters or candles. Their curiosity can often lead to tragedy. Extinguish candles when leaving the room or your home. Never leave candles unattended. An NFPA report on Candle Fires showed that they cause over 15,000 home fires each year. These fires lead to more than 1,289 injures and 166 deaths. More than half of the fires started because the candles were too close to other combustible items. The good news is that all of these fires are preventable. It just takes a few extra steps to ensure that you home is safe. Visit the USFA Focus on Fire Safety website for additional information on using candles safely this winter.